The Republic of Korea was colonialized in the early 20th century, achieved its independence, and rose from the ashes of the Korean War to become an Asian power. Korea’s ascent coincides neatly with the advent of globalization and growing importance of international law in managing the increasing interactions between states and other non-state entities such as multinational corporations, non-governmental organizations, and international organizations like the United Nations. 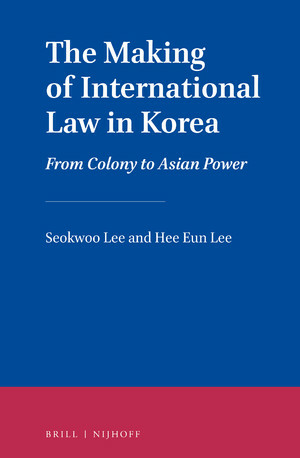 The Making of International Law in Korea addresses the developments of international law in Korea from human rights concerns to law of the sea issues; from maritime delimitation and access to ocean resources to other non-security matters. 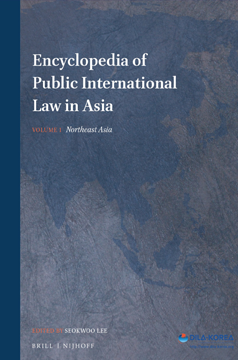 Offered as a textbook for academics and students, the authors demonstrate the increasingly important role of international law in shaping international relations in Northeast Asia and Korea.